And recently, in an extraordinary concert by pianist Jeremy Denk and violinist Stefan Jackiw , choreography of the music took on new meaning. It is rare to witness a performance in which you feel as though you are actually “seeing” the music itself – not just hearing it – but experiencing a performance in which the performer actually becomes the music in some indefinable way. It has happened very few times in my life: Pianist Paavali Jumppanen’s performances of Messiaen’s Vingt Regards sur l’Enfant-Jésus and the Boulez Third Sonata will be in my mind forever as will Evelyn Glennie’s performance of the Vivaldi Concerto for Flute, Strings, and Continuo (flute part transcribed by Glennie for vibraphone) and Ann Schein’s performance of the Chopin B minor Sonata, and possibly two or three more. And now the performance of Ives by Denk and Jackiw. My husband Peter and I happened to be in Philadelphia in mid-November when Denk and Jackiw performed all four of the Charles Ives Violin Sonatas at the Kimmel Center. It was an extraordinary concert and I haven’t been able to get it out of my mind. I’ve been a fan of these sonatas for a long time, have performed two of them, and have long considered the 1974 Nonesuch recording with violinist Paul Zukovsky and pianist Gilbert Kalish to be the gold standard. But there is an extra kind of communication in a live performance that can never be duplicated in a recording, especially a live performance as stunningly electric as the Denk/Jackiw performance. the prestigious MacArthur Fellowship in 2013 (the so-called Genius Grant) and winner of the Avery Fisher Prize in 2014. 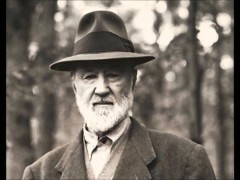 He has been a champion of the music of Charles Ives for quite some time (he says from the age of 20). 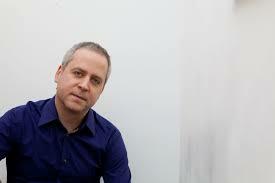 He has made a superlative recording of the Piano Sonatas and has written about Ives in such publications as The New York Review of Books and The New Yorker. the age of 17. 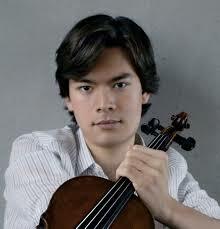 He is in demand worldwide both as a soloist and chamber musician. So for Jackiw, embodying emotion is key; Denk has said that playing the piano “is the primary way I communicate with the world.” In the Ives concert, it was apparent with every note, every phrase, that these performances were about communicating the myriad emotions found in each sonata. The body language of both musicians actually mirrored the shape of the phrases, the articulation, the contradictions in the music, the instant changes from a lush Romantic sound to a crisper, more sharply defined 20th-century sound. The musicians visually showed the balance between violin and piano by how they interacted with one another, and one would have been able to detect the humor and irony in the sonatas simply from watching the performers. And that’s exactly what Denk and Jackiw did – perform these astonishing works as though they were discovering all of the intricacies, quirkiness, and beauty for the first time – and reveling in their discoveries. They hadn’t “memorized” the choreography (as the master teacher suggested in the first paragraph above). They were responding in real time with both body and mind to the emotions in the music. I’ve heard a well-known pianist/teacher speak about teaching his students how to look on stage because, he said, judges in competitions pay more attention to the visual than the auditory. Expressing it that way makes it sound as though the visual is an add-on, having nothing organically to do with generating the sound. Thinking about how they look on stage is probably the furthest thing from Denk’s and Jackiw’s minds. But watching them was an especially eye-opening look at the way in which a performer uses his body to generate the sound or emotion he wants to communicate and thus he becomes, in some way, a visual of the music. It was a way of making music that seemed to almost literally translate the music on the page into movement at the instrument. And although both of these performers are somewhat “lively” in their body language, that doesn’t mean that sound production necessarily has to be extravagant. Ann Schein is a relatively “quiet” performer in terms of body language, but she has a powerhouse sound, and you know every minute where the music is going and what emotions she is attempting to convey. Size of body movements doesn’t necessarily matter, but whether or not those movements are related to actually producing the sound matters a great deal. If you are a regular reader of this blog, you may have figured out by now that I’m leading up to mirror neurons. And you’re right. Mirror neurons, those specialized brain cells that are active both when we perform an action and when we see the same action, have been shown to have a definite effect on how an audience member perceives a performance. When we are watching a performance, a class of neurons in our brains is mirroring the movements – and emotions – of the performer. So if the performer’s body language suggests manic energy, or calm meditation, that’s what we mirror in our own brains – and it causes us to actually experience those emotions at some level. But these neurons also mirror intentions, and flashy movements that have nothing to do with creating a particular kind of sound or emotion – that are a kind of “add-on” – don’t cause the same reaction in our brains. 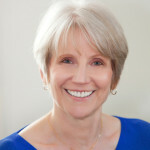 Jackiw speaks about trying to “embody emotion,” and it is that embodiment that really communicates through mirror neurons to the audience – feeling the emotion in your body, not just thinking it. And both Denk and Jackiw are masters at embodying emotion and that is why they are such good communicators at their instruments. (There’s a great deal more information on mirror neurons in earlier posts beginning with Mirror neurons and music, part I ). I’ve also written about Dr. Chia-Jung Tsay, who demonstrated the power of the visual in listening to music. (Are you listening to the music – or watching the performer?) So there are, in part, neurological reasons that we respond the way we do to live performance. But no amount of “add-on” body language can spark a ho-hum performance. Mind-body-sound-emotion are inextricably intertwined. We decide the kind of sound we want to achieve and the emotions we want to convey and how we use our bodies to generate that sound and emotion affects how an audience member perceives the performance. But of course, I wasn’t thinking about any of that during the Ives performance. I was just experiencing the sheer joy of hearing – and seeing – these works in such a viscerally stunning performance. Somewhat over a year ago, McMaster University in Canada opened LIVELab (Large Interactive Virtual Environment Lab), a performance hall that is wired to allow neuroscientists to use sensors to scan brain activity as well as physiological monitors to measure heart rate and breathing changes both in musicians and audience members. Their first concert series runs from October 2015 through April 2016 – with concerts ranging from jazz to classical to Indian music to digital orchestra. I’m eagerly waiting to find out what they learn from their experiments throughout the first concert season. In the meantime, I’m hoping that Denk and Jackiw are planning to record the Ives – better yet, make a DVD so we can experience seeing as well as hearing these astonishing sonatas. And it would be great to include the wonderful commentary that Denk delivered prior to each Sonata and the vocal quartet that sang the hymns and song verses found in the sonatas – all wonderfully illuminating. Very interesting! Thanks for sharing this information. Interesting and perceptive – as always, Lois. What you describe is something that I notice as an examiner, even though the examiner’s principal brief is to comment on what is heard. There is an accepted degree of emphasis on the visceral aspect of performance for singers but, for instrumentalists too, a genuine physical response to the music can be an additional means of communication. The mirror neuron aspect of performance can be particularly engaging and memorable – it’s one of those elusive qualities that is hard to pin down in words. Thanks for your comments. Yes, we think that we are responding only to the sound – and you’re absolutely right. We accept with singers that we are influenced by the visual, and that seems natural to us. It’s curious that it doesn’t also seem natural with instrumentalists because mirror neurons are definitely at work there as well. Well said, Lois. 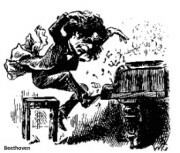 (as always) Are you thinking of the Ann Schein performance in Las Vegas of the Chopin B Minor? I had much the same reaction to her Davidsbuendler that night, more so than the Chopin. Both were very moving, but somehow the Schumann connected more for me, possibly in the sense that she had dsicovered more of the piece that I had not yet considered, having played both myself. Hi Steven, Thanks for your comments. Actually, I have heard Ann play the Chopin two or 3 times, and the performance I’m referring to was several years ago. The Las Vegas performance was terrific as well, but it was the earlier performance that has stuck with me. It is interesting, though, that one doesn’t necessarily have the same visual experience even when hearing the same performer playing the same piece. I remember reading about an experiment done some time ago where performances of contestants in a piano competition were evaluated by a panel of judges. Some judges had only the audio performance, others had the visual and audio performance. I may not remember the details exactly, but it seems that the “poorer” contestants (in terms of the competition results) who were observed visually were rated better than the “winning” contestants who were evaluated by audio performance only. Is anyone else familiar with this study? Perhaps it sheds some light on this interesting topic. Hi Cindy, You may be referring to the studies done by Chia-Jung Tsay that I mentioned in this post. I’ve written about them previously and the link is given above. But it wasn’t a matter of “poorer” contestants being rated higher. All of the excerpts in the study were from finalists in major competitions, so they were all excellent players. I’ll refer you to the post rather than recap here.